Paul McCartney made his second appearance on a Jools Holland TV show in a week to promote the new "Band On The Run" release Friday. This time he was interviewed and performed "Let me Roll It" and "Nineteen-hundred-and-eighty-five". "Jet" was also performed a second time. The Friday show was taped Tuesday. 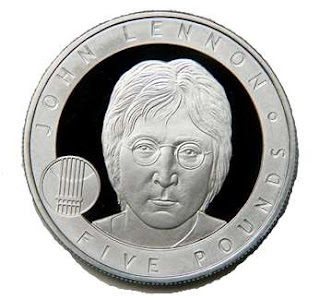 This image made available Friday Oct. 29, 2010, by the British Royal Mint, shows rock icon John Lennon who is being honored with an official British commemorative coin. The former member of the Beatles, singer songwriter Lennon was chosen by a public vote to be honoured with the coin with a face value of 5 pounds (US $ 8) but will be sold at 45 pounds (US $ 71.68) in a limited edition that went on sale Friday. 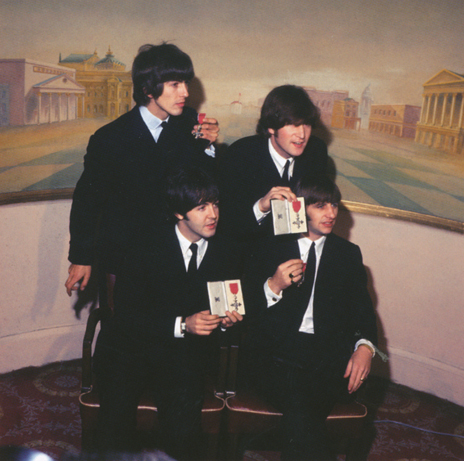 The former Beatle will join William Shakespeare, Winston Churchill, Charles Darwin and Florence Nightingale among British luminaries whose images have graced special coins. Tuesday November 25th, 1965, the Beatles filmed ten different promotional clips in black and white for five songs, "Help!," "We Can Work It Out" (three versions), "Day Tripper" (three versions)," "Ticket To Ride" and "I Feel Fine" (two versions). Some people regard these promotional films to be the first pop music videos. Made to avoid the necessity of constant exclusive TV appearances, and to make profit from direct sales to various TV companies throughout the world, these promos, shot at Twickenham by Intertel VTR Services, were quick to make. 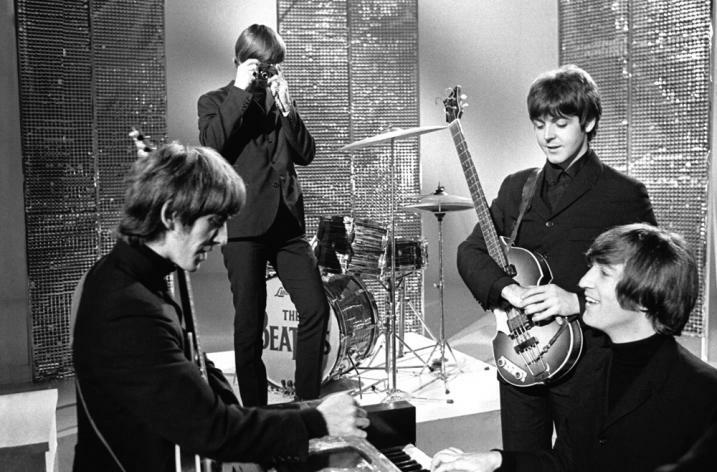 According to Mark Lewisohn's Complete Beatles Chronicle , the BBC paid NEMS £1750 for several broadcasts of the clips (largely on Top of the Pops), while the cost of the production was itself just £750. Although many of the clips made only a semi-diegetic use of music (on ‘Help!’ Ringo simply holds an umbrella, on I Feel Fine he rides on an exercise bicykle). There's also a version of "I Feel Fine" where the Beatles are snacking on fish and chips, while occasionally mouthing the words of the lyrics. 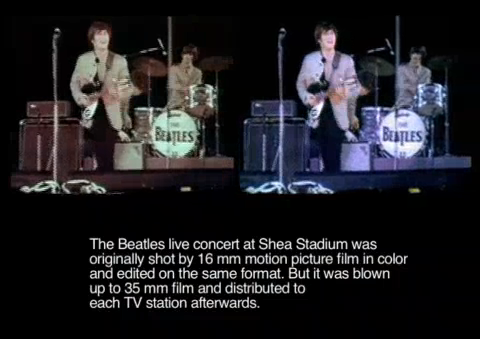 Although filmed in black and white, still photos were in colour. 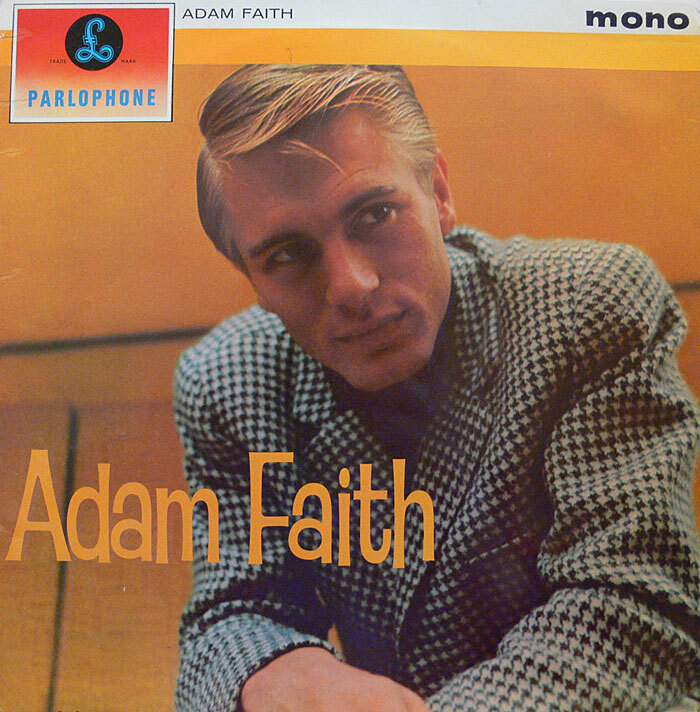 Some of these later became internationally released record sleeves. 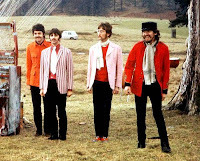 The "fish and chips" promo for "I Feel Fine"
The regular promo for "I Feel Fine"
One of the promos for "Day Tripper"
The promo for "Ticket To Ride"
One of the promos for "We Can Work It Out". Photo provided by our blog reader, Marcelo Ravelo from Barcelona. Curiously, I couldn't find a colour photo from the black clothes versions of "We Can Work It Out" and "Day Tripper"
More about The Beatles and Movies can be found over at The Beatles Movies. The first of the clips in this collection, "We Can Work It Out", is a sample from the upcoming Unsurpassed Promos DVD set. 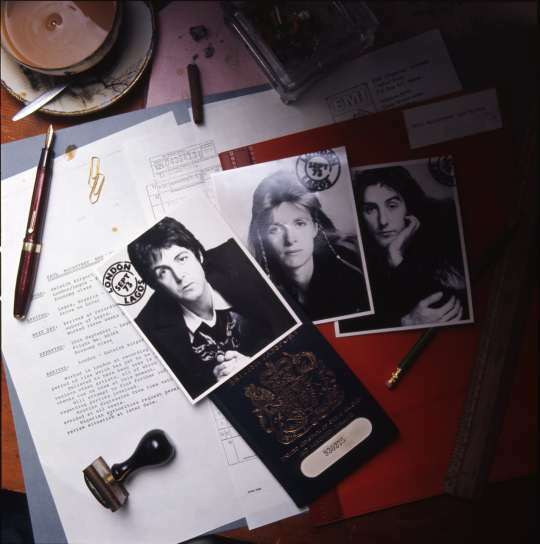 The back cover of the vinyl album - UK. It's like "Find 7 differences"! That was part of the fun with various national vinyl releases. Here's another, different one without the text, for your viewing pleasure. Paul McCartney appeared on "Later Live with Jools Holland" yesterday, performing two songs from his and Wings' classic album "Band On The Run", which is due out in a remastered version on November 1st. The songs performed were "Jet" and the album's title track, "Band On The Run". 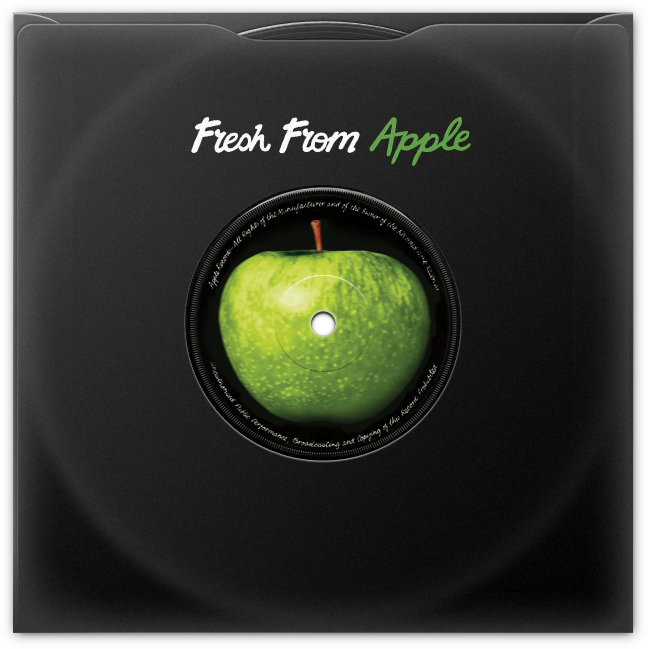 The new Apple releases are now available for listening via Spotify. After installing Spotify, you may click the links below to enjoy the music. Spotify is a Swedish company offering either commercials-based free listening to audio streams or paid commercial-free streaming of the same. The service is currently only available in Sweden, Spain, Norway, Finland, France, the Netherlands and the United Kingdom. According to Jonathan Forster of Spotify AB, Spotify will be launched in the United States before the end of 2010. John Lennon performing Attica State at the Apollo Theatre in New York City - December 17, 1971. The concert was held as a benefit for the families of victims of the Attica State Prison riots. This is a clip that has only surfaced recently. Lennon also performed "Imagine" at the same occasion, but that's been out officially. Depicted above is a version which combines the two releases inside one slipcase. Nothing more. 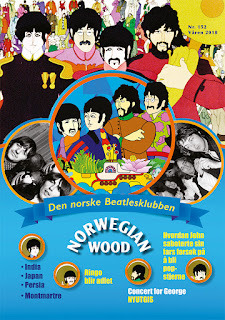 A radio show here in Norway recently had a competition where one could win the new John Lennon Signature box as a prize. But first you had to answer some questions, one of which was "Which song was the first John Lennon co-composition to be released on a record, and who did he compose it with?" That seemed pretty straight forward at first sight. 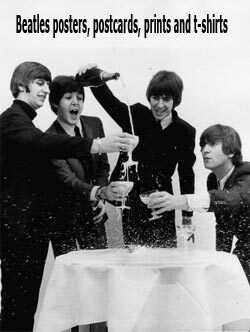 "Love Me Do" which Paul McCartney wrote back in 1958-59 with a little help from Lennon came to mind. Recorded on September 4th (Ringo version) and released a month later, October 5th, 1962. Sure, Lennon was also involved in "Cry For A Shadow" helping out George Harrison way earlier, it was recorded on June 22nd, 1961 but wasn't released until 1964.... or was it? 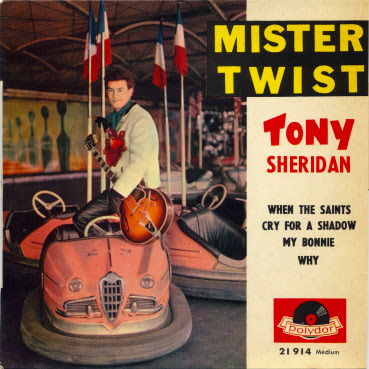 Upon closer inspection, it was discovered that in France, the Tony Sheridan EP "Mister Twist", released as early as April 1962 - several months earlier than "Love Me Do" - contained that early Beatles instrumental. The Beatles weren't mentioned, neither on the cover nor on the label, but the writers are identified as G. Horrison (sic) and J. Lennon. The song was later recorded by Askew, under his new stage name Darren Young. 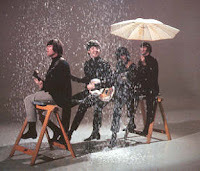 It was released as the b-side of the single "My Tears Will Turn To Laughter", on the Parlophone label with the catalogue number R 4919 in August 1962. The song failed to chart, and didn't include a credit for Lennon. But according to Askew it was co-composed with the Beatle, and as it was released before "Love Me Do", it could have been a contender, had it not been for the existence of the French "Mister Twist" EP. At least it's a lot cheaper than the original pressing of the "Mister Twist" EP. 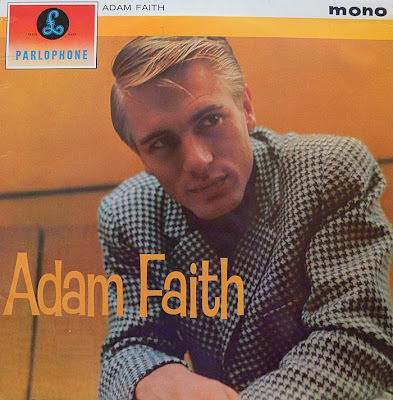 Last time I saw the Adam Faith mono LP at "buy it now" on ebay it was £7.99, while an original "Mister Twist" will set you back between £200-£300. If £7.99 is too much, there's always YouTube. We've established one thing by this excercise: Don't ask a Beatles related question unless you are absolutely sure about the answer! Or else you'll end up annoying the archeologists. Here's an update on the Unsurpassed Promos DVD set we told you about earlier. The 4 disc DVD set is due out on the internet circuit at the start of November. All tracks are mimed performances, except (*), the Let It Be stuff and some of the later 'concept' films. Sound is remastered mono except (=) which are stereo. Tracks marked (+) have two audio options. More information will be included in the released material. The set will be traded among collectors and distributed freely on download sites. Yes, it's not complete, there are promos missing. But we hear it will look a lot better than Chronology. The japanese bootleg company Misterclaudel has announced an upcoming new version of the Beatles' famous Shea Stadium concert. 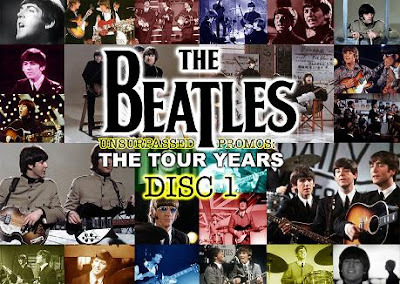 There has been a great many versions of this concert film booted already, but none has managed to match the clarity of the footage shown in the Beatles Anthology TV-series. Perhaps this is the time? 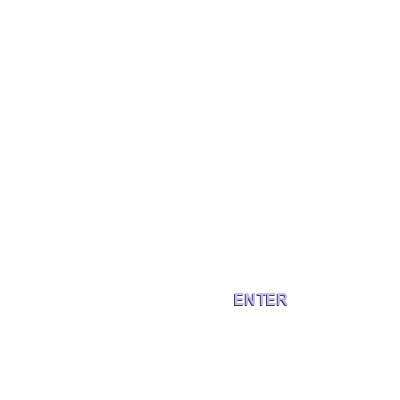 See picture comparison above. The best previous versions have been taken from the american TV master, as discovered by Darthdisc, augmented by adding the audio option of the original soundtrack from the auctioned audio tapes from the concert. 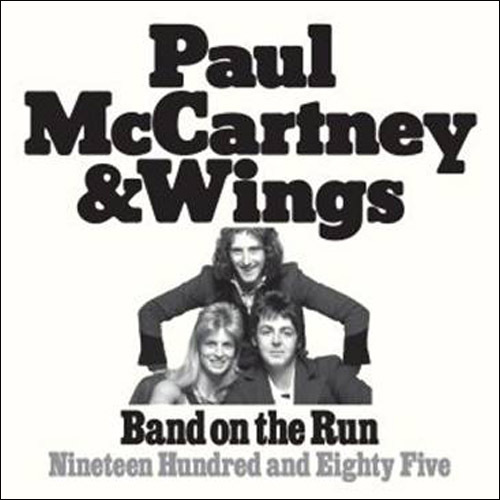 Amongst the plethora of new Beatles and solo-Beatles releases, the McCartney releases are being given a facelift, courtesy of his new Concorde label, and they have selected Band on The Run to spearhead the upcoming McCartney Archive Series. The album is due out November 2nd (Nov 1st in the UK), and the promotional machine has started it's countdown by releasing one of the short films off the accompanying DVD, and the second episode of the podcast has been made available on McCartney's official Band On The Run site. 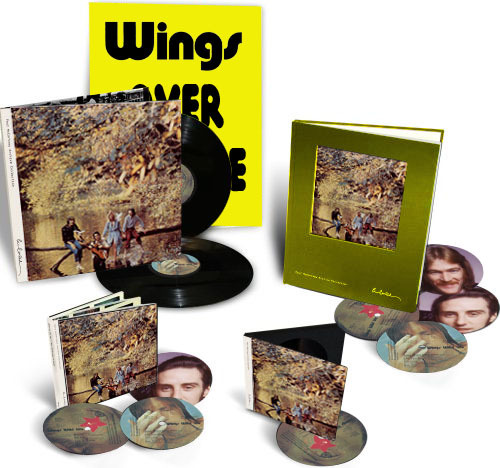 The album will be made available in four physical formats, as a single CD with no bonus tracks (even omitting "Helen Wheels", which was on the original american album back in 1973 and ever after on the US re-releases), as a 2CD+1DVD, as a Deluxe edition with 3CD's, one DVD and a hardcover book and as a double vinyl album. Word is, the "One Hand Clapping" film is complete, apart from the omission of the song "Suicide". The picture quality is good, but the audio is a bit murky. I guess "Suicide" has been snipped out and held over for inclusion on the "McCartney" volume of the series. 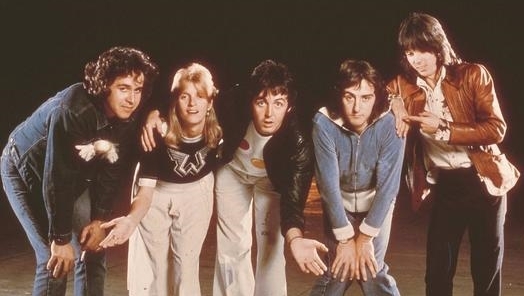 But we should be happy to get so much of the "One Hand Clapping" film, because Concorde originally thought that they should just include the "Band on the Run"-songs from the film. Had it not been for one McCartney fan who was involved in the project, that's what would have happened. - McCartney (1970): the DVD should include a new documentary, "The Making of McCartney", featuring clips of "Suicide" from the One Hand Clapping film (1974), as well as the "Maybe I'm Amazed" original promo clip (1970), "Every Night" and "Hot As Sun" from the Kampuchea concert (1979), "That Would Be Something" and "Junk" from MTV Unplugged (1991) and "Teddy Boy" from Let It Be (1969). Bonus tracks on CD 2should include "Indeed I Do", "Rode All Night", "Sunshine, Sometime", "When The Wind Is Blowing", "Every Night (take 1)" and others. - Ram (1971): The DVD should have a new "the making of Ram" documentary, featuring the promo films for "3 Legs" and "Heart of the Country", "Eat At Home" and "Smile Away" live clips from the Wings 1972 concerts, "Too Many People" from The Space Within US DVD and "Ram On" from the current tour. Among the bonus tracks: the full "Brung To Ewe By" EP, "Another Day" and "Oh Woman Oh Why". A second CD should hold the Ram mono mix. 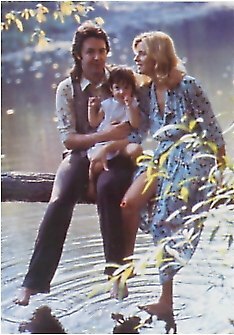 - Wings Wild Life (1971) The bonus DVD should have the ICA rehearsals film as well as concert footage from the 1972 "Wings Over Europe" tour (as seen in the "Paul McCartney Special" VHS film, mis-labeled as 1973 footage). The hardcover book should reprint the 1972 tour programme and add studio session photos, alternate photos from the photo session for the front cover as well as photos from the "Wings Over Europe" tour. A nice touch would be to include the yellow "Wings Over Europe" poster, which accompanied some copies of the LP sold during the tour. 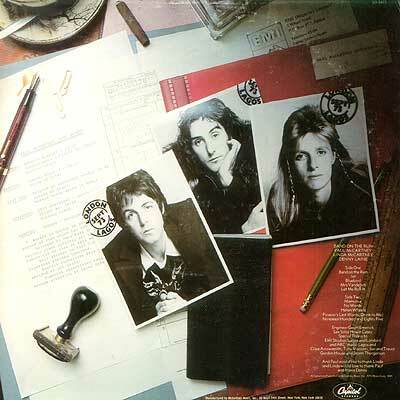 - Red Rose Speedway (1973) should be the double album it was originally planned to be, the bonus DVD should contain both the "James Paul McCartney" TV special as well as the unreleased "Bruce McMouse Show". 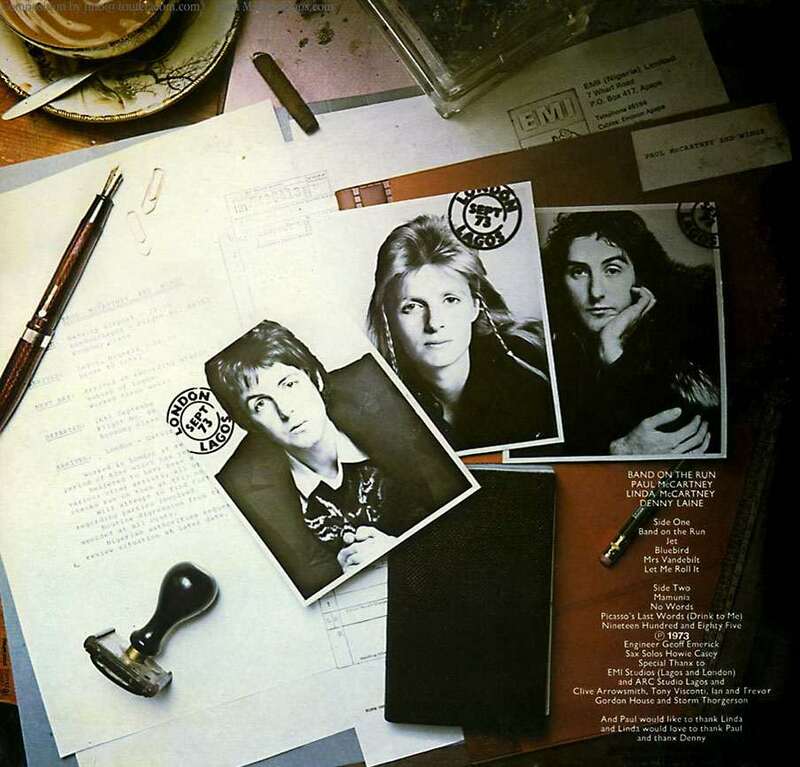 - Venus and Mars (1975) should be accompanied by a DVD with the new "Making of" documentary, featuring footage from New Orleans as well as the promo clips for "Letting Go" and "Venus and Mars/Rockshow", the pool table album promo plus songs from the Melbourne concert that was televised in Japan at the time. - At the Speed of Sound (1976) should have the "Wings Over The World" TV documentary on DVD. - Wings Over America (1976) Bonus DVD: the complete theatrical version of "Rockshow" in a new transfer. 'Nuff said! - London Town (1977) Bonus DVD with whatever home video footage from the recording sessions McCartney can muster, the promos for "London Town", "With A Little Luck" and "I've Had Enough", video for "Mull of Kintyre" and footage from the studio (as seen in the "South Bank Show"). - Back To The Egg (1979) with bonus DVD: the "Back To The Egg" TV special, the unreleased full length "Rockestra" film and the full length Wings and Rockestra parts of the "Rock For Kampuchea" concert film. Yes, we're dreaming. Feel free to add to these and expand your dreams to the rest of the McCartney catalogue if you like, in the comments section. This is the full picture, here from the 1993 red album booklet. 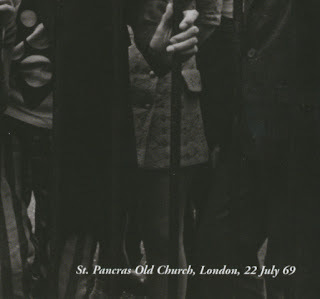 Keen readers of my blog and Beatles photo aficionados will know that this "mad day out" photo was taken on the 28th of July 1968. There are two current books out or due out, both filled with photos from that particular day. Couldn't they just have asked a Beatles fan? In the new edition of the red album booklet, George isn't smoking, so what's he doing with his fingers? I was watching the "Lennon Naked" TV biopic this weekend, so I thought I'd share my thoughts on it. This is a BBC production and it's a TV drama with actors portraying real persons in a part fiction part documentary script, written by Robert Jones. The plot is like this: In 1964, a reluctant John Lennon (Christopher Eccleston) is persuaded by manager Brian Epstein (Rory Kinnear, who bears a striking resemblance to his late father Roy, Algernon in "Help!") to meet Freddie Lennon (Christher Fairbank), the father who abandoned him 17 years earlier, with the press in attendance. The meeting is brief and bitter. Three years later Epstein is dead and John invites Freddie to his mansion but again things turn sour, due to Freddie's drinking and insulting aunt Mimi. The Beatles set up Apple Records, but the press are hostile and Lennon's comment that 'We're more popular than Jesus' doesn't help. Rows with long-suffering wife, Cynthia (Claudie Blakley) lead to marital breakdown and John's meeting with Japanese visual artist Yoko Ono (Naoko Mori). Family history is repeated as Lennon leaves Cynthia and their son, Julian (Charlie Coulthard) for Ono. In 1969 John returns his M.B.E. in protest at England's support for the Vietnam War while his stunts with Yoko Ono to promote peace alienate the press. Some months later he disbands The Beatles to the other members' annoyance and, after arguments with fellow songwriter, bandmate and friend, Paul McCartney, sees a therapist, who regresses him to the day Freddie left him. He learns that Freddie needs his help to write a biography, leading to one last showdown between himself and his father. Lennon plays the song "Mother" from his recent Plastic Ono Band album to convey his feelings to his dad, and awkwardness ensues. The biopic ends with the Lennon's (John and Yoko) leaving England to move to New York. I have a lot of mixed feelings about this 1 hour 30 minutes movie. Eccleston is a good actor, but I get a feeling that he is 'putting on' a Lennon voice, it doesn't sound at all like natural Liverpudlian to me, it sounds forced. But then again, all portrayals of the Beatles in biopics sound like that to me! The music is excellent, as it is the real one, genuine Beatles and Lennon songs from their records and not some cover band or something made to sound like the Beatles. Seeing Lennon, Ono and Shotton (Adrian Bower) inside a mock "Kenwood" is a treat. Documentary clips from newsreels featuring the real Beatles and Lennon are also intercut in the movie, which was a nice touch. We get to see John and Yoko taking the photos for the "Two Virgins" album cover, justifying the film's title, although the actor's bodies are in far better shape than the real life John and Yoko. The real life Lennon changed his appearance, hair length, facial hair and style of clothing a lot more often than what the movie Lennon does, but Eccleston at least has a Lennon nose... 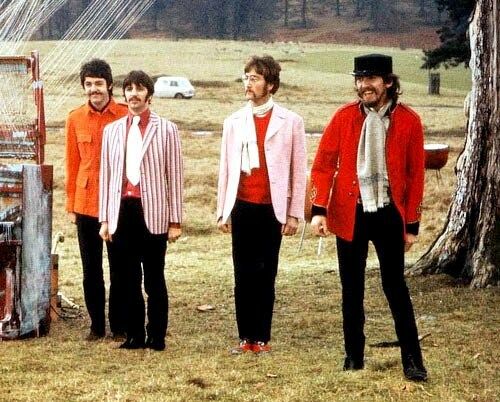 The other Beatles are also making appearances in the film, an almost non-existant Ringo Starr (Craig Cheetham), a mostly mute George Harrison (Jack Morgan) and a Paul McCartney (Andrew Scott) that almost comes across as dim witted. I believe that McCartney was as intelligent as Lennon, so I feel that this film in no way is able to capture the real interplay between these two genius songwriters. Of course, it is very difficult to portray a real conversation between the two, as it would have come across mostly as code, riddled as their conversations always probably were with half remembered Goon show references, movie lines and references to other shared experiences, unknown to the outside world. Derek Taylor (Michael Colgan) looks the part, but like McCartney he is a flawed shadow of his real life soft spoken but powerful counterpart. Still, this film has a lot of good things going for it, and the main story is about how Lennon, in spite of his own traumatic childhood experiences duplicates his father's abandonment by leaving Julian behind. A key scene which is often returned to in the movie is the Blackpool scene, also a key element in "Nowhere Boy", when young John has to choose between going to New Zealand with Freddie or staying in Liverpool with Julia (only to be abandoned by her, having to be raised by aunt Mimi). The script is a dark one, and John Lennon's real life sense of humour is nowhere to be found. This makes it troublesome for us to identify with the Lennon character and to understand his popularity. I forget, but I don't think Eccleston ever smiles in this movie, at least that's the feeling I'm left with after having watched it only once. As all followers of The Beatles and John Lennon know, there was always a smile and a laugh following every serious moment with Lennon - to take the edge off. Here, he becomes a little too one-dimensional to be believable. This is probably something the actor could have added to the written script, but it's also the director's and the writer's responsibility. 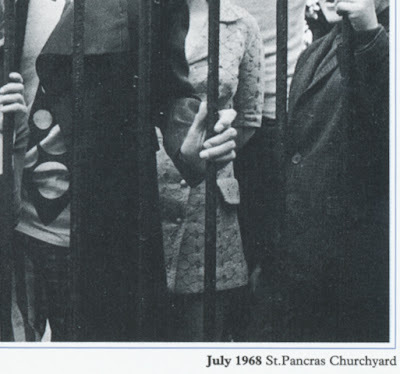 Another thing, which is also the flaw in "Nowhere Boy", is that according to Lennon's half-sister Julia Baird's investigations and as layed out in her book , the one person responsible for John being brought up by aunt Mimi instead of his mother Julia was aunt Mimi herself. Mimi was living in an unconsumated marriage, but wanted a child, she wanted John for herself. She used the fact that Julia was living in an unmarried relationship with John Dykins to take the young John Lennon away from his mother and have him placed with herself. Aunt Mimi alerted the local authorities, whose moral standards at the time were such that they couldn't allow the innocent boy to live in such an 'immoral' household, so they helped aunt Mimi get parental control over the boy. Lennon's relationship with his mother was severed, and he wasn't reunited with his mother until he reached his teens, when his cousin took him to Julia's house and showed him that she was alive and living not too far from him. This key element in Julia Baird's book was removed from the "Nowhere Boy" film at the request of Paul McCartney(! ), which lead Julia Baird to distance herself from the finished product. It's a shame that this story can only be read in an obscure book (and this blog), while the censored film version is the one that will be watched, and believed, by millions around the world. 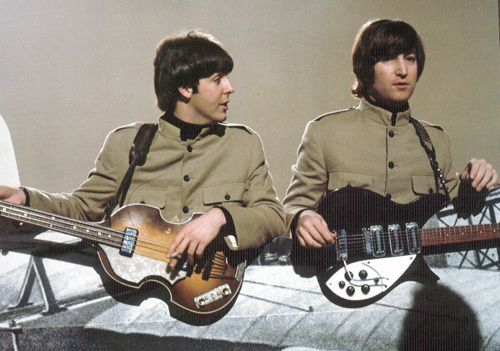 Anyway, "Lennon Naked" comes across as a sequel to "Nowhere Boy", but also stands on it's own. The film is due out on DVD in the USA on November 23 and has been out in the UK since June 28th. It was first broadcast on 24 June 2010 on BBC Four. 26th and 29th October - Later with Jools Holland - Performance and Interview. Want to be in the audience? You can apply for tickets to the 26th here. So, Concorde Music had another surprise for us, it seems that in the USA, they're going to release a limited edition 7" vinyl single from the forthcoming Band On The Run project. The songs will be the title opening track from the album, coupled with the excellent Nineteen-hundred-and-eighty-five, the album closer. 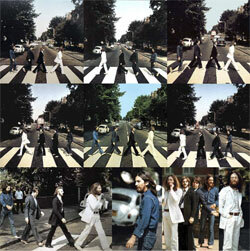 The single is housed in a deluxe picture sleeve and of course remastered from the original tapes, like on the album. You can get it from Music Direct, or if you're in Europe, from Key Mail Order. It was fifty years ago. 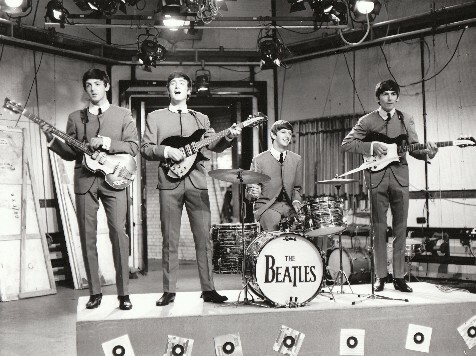 The Beatles performed their first concert in the United Kingdom on the 17th of December 1960. The concert was in Liverpool at the Casbah Coffee Club. The Beatles returned from Hamburg (some returned, some were kicked out) George Harrison had to come back. The German authorities had realised he was under age to be performing in the night clubs of Hamburg. It may corrupt the poor boy. They had a 10.00pm curfew for people under 18, which George was. Only being allowed to play 'till 10pm and then not be allowed to join the lads for after show fun left George with no other alternative but to return home to Liverpool. 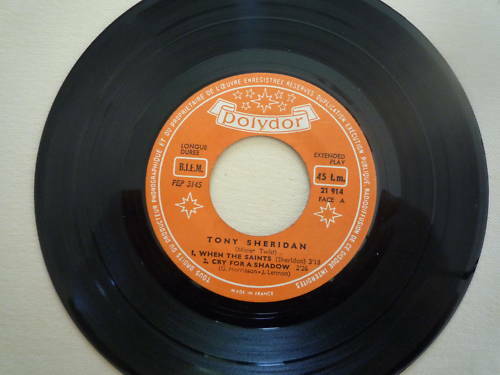 1 down 4 to go, leaving John, Paul Pete and Stuart with Tony Sheridan playing at the Top Ten Club. Back in Liverpool the homebound Beatles were floating, doing nothing. Pete spoke to his mother Mo. He told her The Beatles got really really good in Hamburg. He asked if she would throw them a lifeline by booking them and seeking bookings for them. Mo agreed. Pete wrote to John and Stuart. John replied, he was coming home. Stu replied, he would come home ,but not till January. He wanted to spend Christmas and New Year with his girlfriend Astrid Kirschherr. Pete asked Chas Newby, The Blackjacks Bass player if would he stand in for Stu. 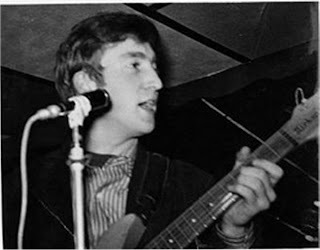 Chas agreed, and a date was set for their first concert in Liverpool, their first date in the UK, the 17th of December 1960 at the Casbah Coffee Club. But there is a problem. 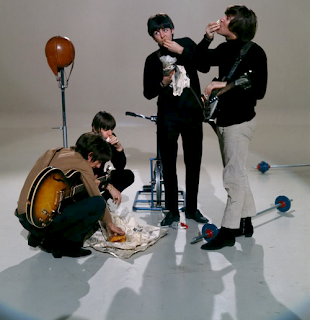 The Beatles have no equipment. It is still in Hamburg! Mo books Gene Day and the Jango Beats (who later became Earl Preston and the Tempest Tornadoes) to play . 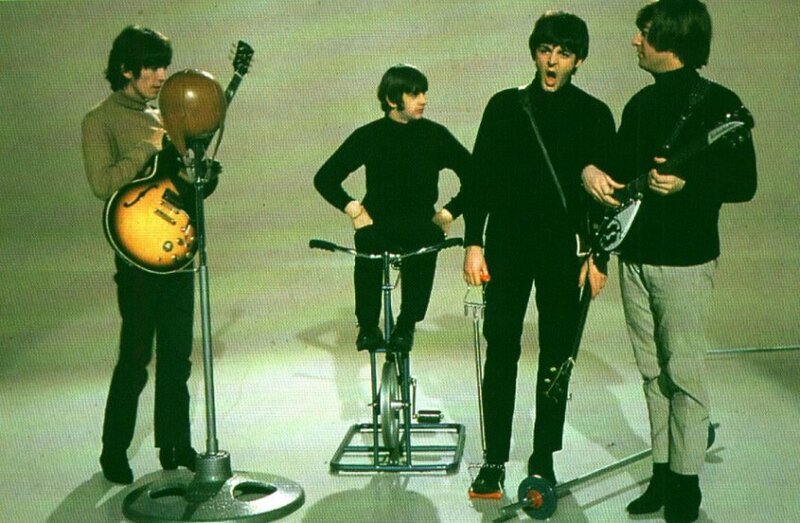 Will they lend their equipment to The Beatles? They agree. 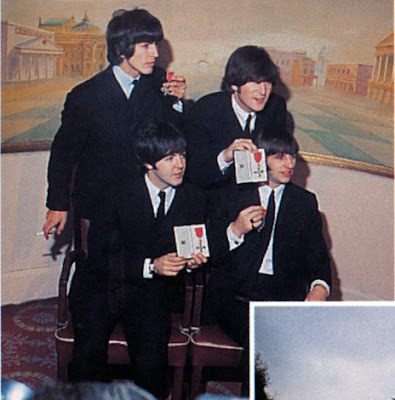 The 17th of December 1960. The Casbah is jammed to the rafters. 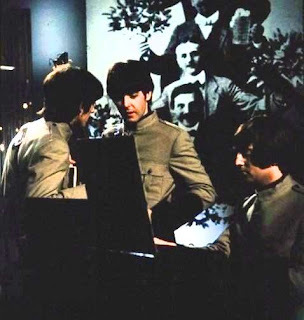 The posters on the walls state "The Beatles - Direct From Hamburg Germany" will be playing. The Casbah crowd are excited. The Casbah has gone international - there is a German group coming to play! Gene Day and the Jango Beats performed. They're a good group and they are well received. It's time for The Beatles. John, Paul and George walk in and the Casbah crowd aren't too pleased. These are the guys from The Quarrymen! They weren't very good - and they are not German! Chas Newby walks in. It's Chas from The Blackjacks! They were so so - and he's not German! Pete walks in. That's Pete, he lives and works here and like Chas he used to play for The Blackjacks - and he is definately not German! People want their money back. Where is the promised German group? The posters in the club mention a German group, i.e. 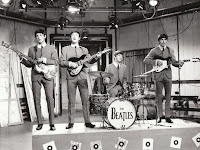 "The Fabulous Beatles Direct From Hamburg Germany"! What's going on? Where are they? The reply from Mo was simple. Nobody had said The Beatles were German. The posters had stated "Direct from Germany", which they are. They haven't played anywhere else. So no refunds. Go and watch The Beatles. The Casbah crowd weren't happy. Disgruntled they went into the band room to watch five guys they already knew who were now playing as The Beatles, who weren't German. The Beatles took the stage in front of an uninterested crowd and began. "I'm gonna tell Aunt Mary" and so on and so forth. Casbah crowd jaws agape wondered what had happened to the five guys they already knew who now called themselves The Beatles and weren't German. They were sensational! The Casbah crowd had never heard the like. 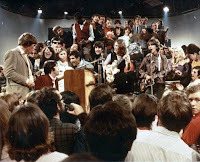 The place went nuts and Beatlemania began. And the story continued, but we're talking about the 17th of December 1960, which we are celebrating and recreating on the 17th of December 2010 at the Casbah Coffee Club. There are only 150 tickets going on sale for the show. They are £20.00 pounds each. Due out soon is a collection of Beatles music videos (aka "promotional films"), which is set to replace all previous efforts you may know of, like the "Chronology" DVD's from Picture Perfect, the "Watching Rainbows" discs from Silent Sea, the "1967-1970" DVD from Beat, "The Beatles Video Collection Vol. 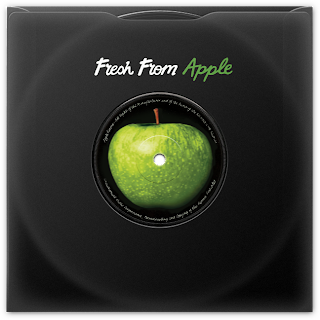 1-3" from the fake Apple company, the "1" DVD on an unknown label, "The Beatles by the Bushel" from New Depression Music, the Red and Blue video collections as well as the FAB Productions' Video Collection Vol. 1 and Vol. 2. 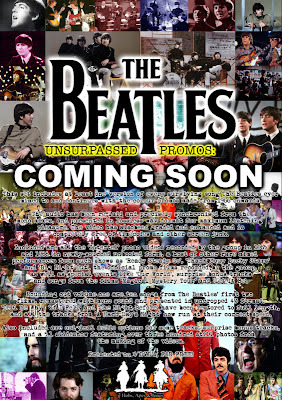 The new DVD project is a 4 disc set under the title "Unsurpassed Promos" collecting not only all the Beatles' official promotional music videos from 1962-1970, but a version of every song they mimed to on tv, songs from their films and something like 350 still photos from the shootings of the promo films. Each video will be presented in the best quality available and every effort has been made to avoid videos that have station logos. The set will also include the last 30 minutes of "Let It Be" in stereo. The promos have been synched to the mono CD's, but whenever a promo features an alternate mono mix, that mix will be included as an audio option. Some of the videos have had to be pieced together from various sources in order to get the best quality. The fan behind the project is the same guy who gave us the "Unsurpassed Broadcasts" collection, as well as the "Empire Strikes Back" DVD and CD. Naturally, because of his reputation, when he announced his plans for this set, he was contacted by people who sat on superior material they offered for inclusion. 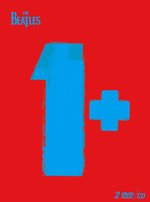 When "1" was released back in 2000, then head of Apple Corps Neil Aspinall was asked what the next step was, perhaps a collection of The Beatles' music videos? His answer was that "No, that would be too obvious". As you can see by the titles I have mentioned and linked to in this post, that statement made for a bootlegger's paradise, as does the absense of an official "Let It Be" DVD. The "Unsurpassed Promos" project is made by fans, for fans, and for free. The 4-disc set will be leaked to internet download sites and traded among fans. Undoubtedly, bootleggers will rip the set and offer it for money somewhere along the line, but that's not something that can ever be avoided, neither with official nor unofficial products. 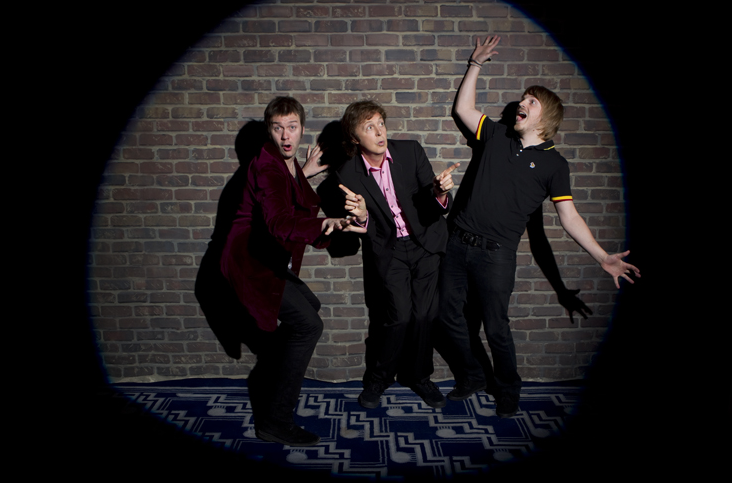 Speaking of fan made DVD's, the "Magical Mystery Tour Revisited" DVD has now been finished and will be out any day. It never rains, it pours. A couple of days ago, we told you about the upcoming book "A Day In The Life of The Beatles " by Don McCullin, a photo book from the "Mad Day Out" sessions. Well guess what? Here's another one! 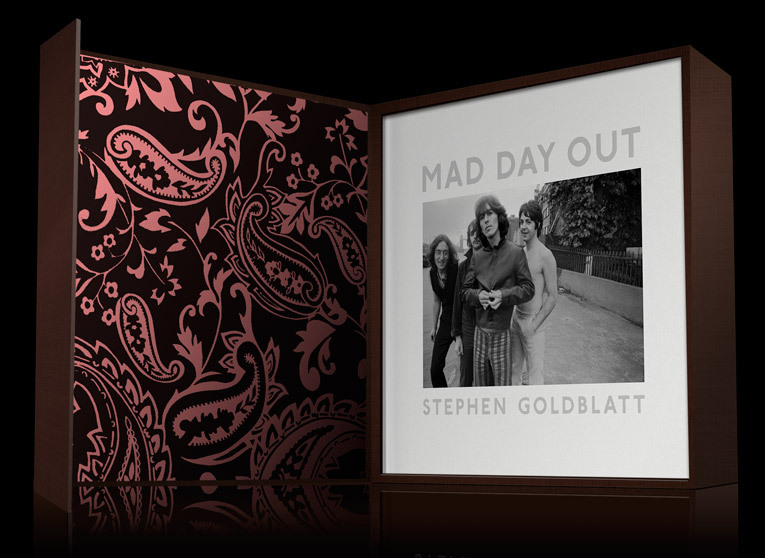 This time it's one of those limited edition deluxe jobs, and the photos were snapped by a photographer named Stephen Goldblatt. Go check out the book and a few sample photos over here. 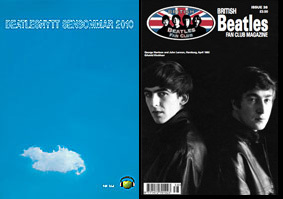 Two new issues of Beatles fanzines have now found their way to the fans, the belated summer issue of Beatlesnytt (no. 164) from Sweden and issue no. 38 of the British Beatles Fan Club Magazine. Beatlesnytt 164 features reviews of these CD's John Lennon Signature Box and related releases (not really reviews, just preliminary information), Come And Get It, The Best Of Apple Records (preliminary information), Live At The Greek Theatre 2008 : Ringo & His All Starr Band (preliminary information), Collaborations : Ravi Shankar - George (preliminary information), Singles Collection : Vera Lynn (Ringo), Golden Slumbers : Steve Dobrogosz, The Music Of : Cheap Trick, Beatles Beginnings 1 & 2 : various artists, The Roots Of Beatles / John / Paul : various artists, Day By Day : various artists. Vinyl: John Lennon Singles Bag. DVD: Nowhere Boy, Books: Beatles Undercover / Beatles Deeper Undercover, John Lennon Solo Beatleg Discography, Across The Universe (Daily Mirror), Paul McCartney - A Life, The Beatles Experience (comic book). The article series on McCartney rarities, "Rara Mackor" is up to part 6 : 1981-1987 and the series on American Beatles releases picks up from where it left us in issue 151 and brings us "Magical Mystery Tour". There's also a review of a book with music scores, "All Together Now - Beatles Complete". 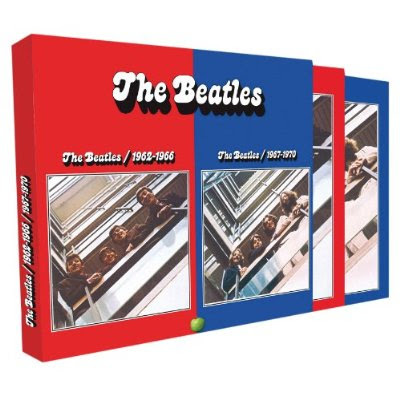 Apart from that, the first half of the magazine is a chronological diary of past Beatle-related events, starting on March 27th 2010 with the release of Ono's "Give Me Something (the remixes)" and leaving us way into the future with the release of Mark Lewisohn's "Fab vol. 1 - The Beatles Biography", which is currently due out on September 1st, 2011. As usual, Robert Gille has managed to chronicle events and releases that has gone under our radar. So I guess I have a life after all. One of the things that had escaped me was the 20 minutes long outdoor rehearsal that Paul McCartney and his band had made available for viewing on May 19th, where they performed Every Night, Molly Malone, We've Been Everywhere, I've Just Seen A Face, Midnight Special, Calico Skies and We Got Soul. Fortunately for me, the 20+ minutes long clip is still available on McCartney's YouTube channel. So you got the new "Double Fantasy Stripped Down" and you're really into those sessions which also provided material for the posthumous "Milk and Honey" album. Well here's a new fix for you, get this book. 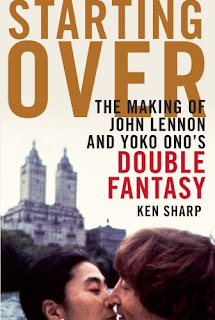 Starting Over: The Making of John Lennon and Yoko Ono's Double Fantasy By Ken Sharp is an oral history of the album told by the key principals involved. It includes new interviews with Yoko Ono, producer David Geffen, Jack Douglas, the session band, Rick Nielsen and Bun E. Carlos of Cheap Trick, engineers, record company personnel, photographers, including Annie Leibovitz and Bob Gruen, and members of the media who interviewed John and Yoko during their rounds to publicize the album. The book also features photos and essays by David M. Spindel and Roger Farrington, who were there for the first day of the recording sessions. This is probably the next best thing to having the unreleased film from the sessions. The 272 pages hardcover book is due out on October 19th from MTV. Further podcasts will be made available over at McCartneys official Band On The Run microsite. Rolling Stone Magazine has provided us with three further clips from the "American Masters - LENNONYC" TV Show, which is due out on TV November 22nd and on DVD November 23d. The Blu-Ray edition is planned for a January 2011 release. The full programme was shown for free at Central Park on Saturday in celebration of John Lennon's 70th birthday. In these sections of the movie, you see footage of Lennon, Yoko Ono and Andy Warhol hanging out as Lennon talks about first moving to Greenwich Village; Geraldo Rivera on the news report of his that inspired Lennon and Ono to stage the One to One benefit concert in 1972; and Lennon discussing, as he Ono walk through Central Park, why he moved to New York City after the break up of the Beatles. "I'm known enough to keep my ego floating, but unknown enough to get around," Lennon says of NYC life. Don't forget to listen to the podcasts related to this documentary, they are available on the official site of the documentary film. 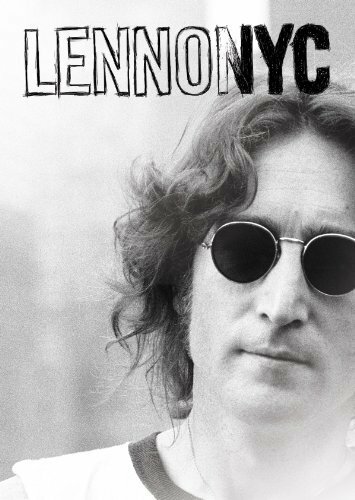 LENNONYC features never-before heard studio recordings from the Double Fantasy sessions, never-before-seen outtakes from Lennon in concert and home movies that have only recently been transferred to video. It also features exclusive interviews with Ms. Ono, who cooperated extensively with the production and offers an unprecedented level of access, as well as with artists who worked closely with Lennon during this period, including Elton John and photographer Bob Gruen. 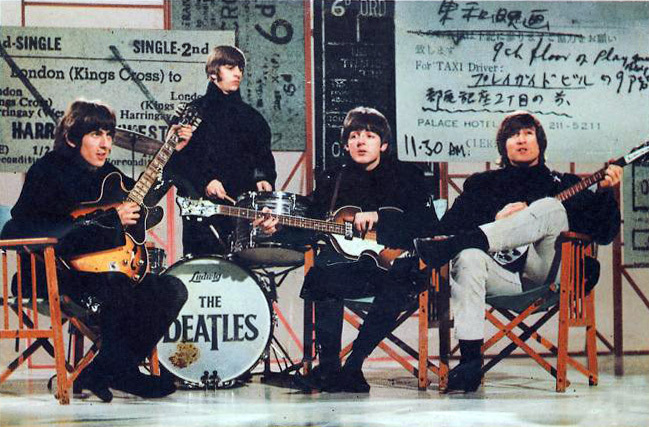 The Beatles on "The One Show"